A podcast about all things Macintosh. For Mac geeks, by Mac geeks. Show 300. Police look into “stolen” iPhone 4G. Skirmishes in the North re-ignite Flash War. Apple is big in Japan. Production issues reportedly delaying iPads and Macbook Pros. Apple’s iPad Camera Connection Kit surprises. Apple steps up “mergers and aquisitions”. Next Mac OS and WWDC dates. Apple Software updates. Why Apple doesn’t care about share. The iPad ban that wasn’t. What if I don’t want to multitask? Converting DVDs. Review: El Gato turbo.264 HD. Pssst. VNC is built in to your Mac. Playing with GPU accelerated Flash. BearExtender n3 giveaway winner. The folks over at MacStories noticed their 2008 Macbook Pro getting a bit drowsy when they let their iPad get too close (see video below). What seems to be happening is placing the iPad over the lower right hand rest area of the Macbook Pro makes it to go to sleep. Repeating the procedure then wakes it up. Odd indeed, but explainable. It’s seems to be a magnetic switch that activating to put the Macbook Pro to sleep when the lid is closed. If you take a paper clip and place it about 1/3 of the way down the right edge of the Macbook Pro screen it will stick to it. There are also a bunch of magnets along the top edge of the screen, but those appear to be there just to hold the Macbook Pro lid shut when it’s closed. The sleep switch also seems to be magnetic and about the same distance down along the right edge of the Macbook Pro top case just behind the right speaker grill. It does appear to be a little further in, more toward the keyboard so I assume it gets pulled out to the edge when you close the lid activating the switch. Now the key to triggering it with the iPad is to place the back of the iPad, specifically the area just under the iPad speaker holes, over that section of the Macbook Pro. Viola! The Macbook Pro should go to sleep. I believe it’s the magnets in the iPad speakers that act like the magnets in the Macbook Pro lid and cause the Macbook Pro to think you shut just the lid effectively putting it to sleep. No mystery, no magical forces, just science. Maccast listener Connor really deserves the credit for discovering this quirk. He emailed me about 3 weeks ago to say he was seeing this behaviour when he got an iPhone 3GS near that part of a 15″ Macbook Pro. At the time I couldn’t repeat the behaviour, but I was able to confirm this with my 15″ Macbook Pro and my 32GB Wi-Fi iPad. Electronista has a post reporting that Adobe has a new Flash preview release dubbed “Gala” (10.1.81.3). With the arrival of “Gala” Adobe has added support for H.264 video hardware decoding on Macs with OS X 10.6.3 and NVIDIA GeForce 9400M, GeForce 320M or GeForce GT 330M graphics chips. Since I own a 15″ unibody Macbook Pro with an NVIDIA 9400M I decided to see how much of a performance difference the new Flash build might offer. For my testing I didn’t use any traditional benchmarking suite, so please take the results accordingly. I do think my tests should represent a “real world” type scenario. Basically, I played back a 720p HD video from YouTube and monitored the resulting Flash Player Plug-in CPU load in Activity Monitor. I found that when running the test on the latest “non-Gala” version of Flash the CPU load on my 2.4 GHz Intel Core 2 Duo Macbook Pro with 4GB of RAM went up to about 90% CPU utilization. Also the fans on my Macbook kicked in about halfway through the video which runs about 4:30. When I ran the same video after installing the “Gala” build of Flash I saw a significant drop in CPU usage. The CPU load hovered between 30 and 40%, roughly about a 50 to 60% decrease in load. I also didn’t have my fans kick in. With “Gala”, you can tell when the Flash hardware decoding has kicked in by the appearance of a small white square in the corner of the video. Adobe says that in addition to improved playback of H.264 video the hardware enhanced version of Flash should also result in improved battery life. Might be welcome benefit for long Hulu video watching sessions when away from a power outlet. To be fair I also switch YouTube over to the HTML 5 beta and tested the same video at 720p. Again in my very non-scientific benchmark test I noted that Safari’s CPU load went up to about 20% with the video playing. Smile on My Mac, check out TextExpander 3. A podcast about all things Macintosh. For Mac geeks, by Mac geeks. A special episode of the Maccast. I interview my friend Drew Olanoff. Drew is a former podcaster and currently the Community Manager at GOGII, makers of the textPlus app for iPhone, iPod Touch, and now the iPad. We talk about Drew’s switch to the Mac, his career, and what it was like to get their app ready for the iPad on launch day. We also announce the Maccast textPlus Wi-Fi Challenge where, with the help of textPlus, we will give away an Apple iPad. The Challenge: To answer “The Question”. Can a person survive in the digital age using Wi-Fi devices alone? You are invited to join us and pledge to only use wi-fi connected devices for a whole day. No 3G, no EDGE, no MiFi. I will be sharing my experience on the Maccast forum, in my textPlus community (themaccast), and on Facebook. After it’s over I will also share my and your experiences on an upcoming episode of the Maccast. Prizes: Along with the challenge we will be giving away a 16GB WiFi iPad and two 8 GB iPod Touches. Just fill out this form before midnight on April 30th for a chance to win. A friend of mine recently posted on Twitter an image like the one above. Very logically he posed this question… How does 3.65 + 0.35 = 3.75? Is this some strange new cult of Apple mathematics? There appeared to be missing 256MB of RAM. Concerned for my friend’s memory loss and a bit puzzled myself, I opened my Activity Monitor. You can see, I had exactly same result. Being the Mac geek that I am, I didn’t panic. I figured there had to be a logical explanation. Maybe this was like hard drives where they say 1 TB on the box, but in reality you get less. That happens because when marketing the hard drive they base the numbers on 1GB equaling 1,000 MB instead of the actual 1024MB that it should. In the case of my RAM that wasn’t it. So what gives? A quick Google search revealed the logical answer. It’s something I should have realized immediately but didn’t. See, I have a newer 15″ Macbook Pro with an integrated NVIDIA 9400M GPU and it uses… You guessed it. 256MB of shared RAM. A podcast about all things Macintosh. For Mac geeks, by Mac geeks. Show 298. iPad popularity means shortages and delays. iPhone OS 4 Preview. More blows in the Great Flash War of 2010. New Macbook Pros are finally here. i5s and i7s all around (almost). 27″ iMac updates. Leopard, Snow Leopard Security Update 2010-003. New Mac virus raising HellRTS. Questions about buying a new Macbook. Enable Text-to-Speech in iBooks on the iPad. Review: BearExtender n3. Wi-fi Security on iPads and iPhones. You must quit iPhoto to back up pics with Time Machine. A podcast about all things Macintosh. For Mac geeks, by Mac geeks. 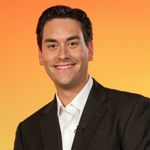 A special episode of the Maccast where I am joined by Clayton Morris. Clayton and I sat down to talk a bit about Apple’s iPhone OS 4 announcement. We dive into a few of those new “tentpole” features and even talk iPad and a little Flash War 2010 for good measure. Enjoy. I finally received my iPad Keyboard Dock yesterday. Here’s a quick unboxing video and overview of the specialized function keys. A podcast about all things Macintosh. For Mac geeks, by Mac geeks. A special episode of the Maccast from US iPad launch day. I sat down with fellow Mac Geeks and podcasters Victor Cajiao (Typical Mac User) and David Sparks (Mac Sparky) to discuss their impressions of Apple’s new iPad. After just a couple hours with the new tablet they share some early thoughts on what they liked, disliked, and how they think this device might change the world (or not).